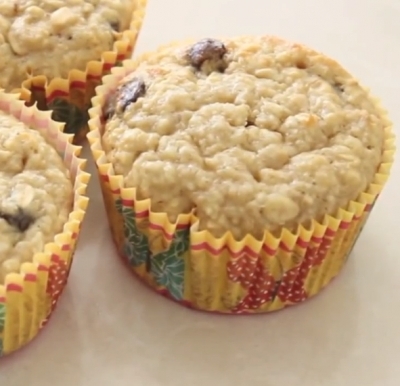 Healthy and Tasty muffins! Ideal for breakfeast or any snacks. Mix all of the ingredients together in a bowl except for the blueberries and when done mixing pour the mixture into a food proccessor. Sugar is optional. When done proccessing, add the blueberries (or chocolate chips or other desired fruits!) and pour the final mixture into a cupcake tray. Bake them for 15 mins and use the toothpick test to make sure if they are ready, by just inserting a toothpick into their center and if it's clean it's ready!